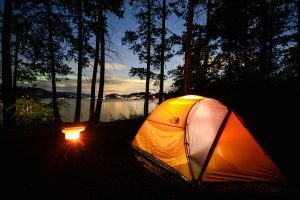 British Columbians love camping and they are passionate about their parks! Changes to the BC Parks Discover Camping Reservation Service for the 2017 season aim to improve fair access for everyone looking to book a campsite in B.C.’s world class provincial parks. Extended the rolling reservation window from three months to four months, starting January 2, 2017. These changes will allow you to start planning your vacations an additional month further in advance than the previous three month planning horizon. The practice of overbooking was highlighted this past camping season. This practice is when a customer makes a reservation to include more nights than are needed to secure a desired date and then later cancels the dates that they never intended to use. An example would be booking a 2-week stay at a maximum window of opportunity to capture a long weekend at the tail-end of the reservation, and then cancelling the preceding 11 days so you were able to secure a long weekend stay before it was actually available to book on its own. Customers who book within this 7-day period and want to change their arrival date will have to cancel the reservation and re-book. Cancelled inventory will be released the next day at 7am and will be equally available to all customers making a reservation at this time. This policy only applies to customers who try to change their arrival date (you can still change a departure date) and it will stop the practice of booking a longer stay than is really wanted in order to secure popular dates ahead of everyone else. These campgrounds were selected because they are in high-demand, but only have a limited number of campsites. This pilot project is intended to allow more people to stay in these select parks. These changes were made to contribute to a much better experience for all. We hope many of you are able to experience our beautiful BC Provincial Parks in 2017! Thanks for giving us review and update of BC.We normally used to camping in summer in Florida but this year planning CA. Awesome view of BC we really like this. Will try to stay here then. How do i find out if certain BC Provincial parks are open for the month of September. Kleanza, Prudhomme Lake, Lakelse Lake, Tyee Lake and Beaumont. We would like to take a 2 week trip to Prince Rupert from Fraser Valley. Want to know that we will be able to camp in those parks along the way. Thank you.